The world is far more germ conscious today than in previous generations and cultures. GCC Coatings is contributing to the fight against the spread of germs and diseases with its new antimicrobial finish for powder coating wood. 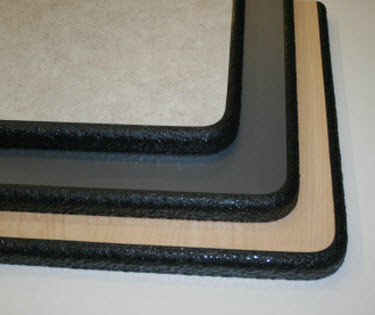 Products coated with this finish are being used in schools, medical facilities, and food prep areas across the country. A report released just last year by Global Industry Analysts Inc. showed projected growth of antimicrobial sales to $1 billion in the U.S. alone by the year 2015. GCC Coatings, a manufacturing company with a history of being synonymous with quality and excellence, has witnessed an increased interest in a bacteria fighting powder coat wood finish. The antimicrobial finish protects surfaces from the growth and spread of 99.99% of bacteria. GCC Coatings began researching and exploring the options available to make germ fighting powder coat wood products a reality. "Interest was fairly low in the beginning but we are now starting to see the interest we expected from the start", added Troy. "We expect to see the flood gates open over the next two or three years." Society is growing more and more obsessed and concerned with the spread of infectious germs. Daily we come into contact with hundreds upon thousands of these bacteria when we touch general, everyday items and then proceed to touch our face, rub our eyes, or eat something prior to washing our hands. From office telephones and keyboards, to door knobs, public restrooms, and shopping carts at the local market it seems as though we are constantly being invaded by these seemingly harmless microscopic organisms. Fortunately, GCC Coatings, with the help of some extremely bright scientists, has again kept us narrowly shy of becoming “bubble boys”. By combining an antimicrobial compound additive to its unique powder finish mixture, the coatings manufacturer is able to provide a great looking and seamless finish that seconds as a germ shield. Aside from its germ free cabinetry endeavors, GCC Coatings also powder coats garage cabinets and garage workbenches manufactured by sister company, RedLine Garagegear. The coatings company recently developed and installed a system that applies its Impact Coating™ to countertops and countertop edges. The Impact Coating™ provides a surface or edges that are water, chemical, and high impact resistant. Greenberg Casework Company, Inc. is the parent company of GCC Coatings. Greenberg Casework Company has been manufacturing custom, quality casework for hospitals, schools, and point of purchase (P.O.P.) display designers for many years. Since 1985 Greenberg Casework Company has been a hallmark of U.S. manufacturing. All parts and products are manufactured at facilities headquartered in South Beloit, IL. “We are a proud manufacturer of American made products and we will continue to manufacture the highest quality powder on wood products”, said Troy. GCC Coatings’ powder coat antimicrobial finish has been used in school cafeterias and science labs, and also in the offices of doctors and veterinarians. The coating provides an invisible barrier to powder coated wood and kills germs on contact. The smooth and seamless finish prevents bacteria from hiding and festering in crevices, cracks, and holes. The antimicrobial additive used by GCC Coatings contains silver compounds to combat the bacteria. The germ fighting properties of silver have been known to cultures across the globe for many years. The Phoenicians and Egyptians used silver to help prevent and destroy bacterial contamination. The toxic effect that metals have on fungi, living cells, spores, molds and viruses is known as the “oligodynamic (Greek for few force) effect”. With more time invested in the industry than any other manufacturer, GCC Coating (http://www.powdercoatmdf.com) should make the short list of anyone looking for an antimicrobial coating for their powder coat wood products. The company can be contacted directly for a free sample kit. GCC Coatings Division of Greenberg Casework Co, Inc.
GCC Coatings Division of Greenberg Casework Co., Inc.
Powder Coat WoodA powder coated wood part manufactured by Greenberg Casework Company and powder coated by GCC Coatings. Impact Coating™Impact resistant countertop edges Powder Coat WoodA powder coated wood part manufactured by Greenberg Casework Company and powder coated by GCC Coatings. 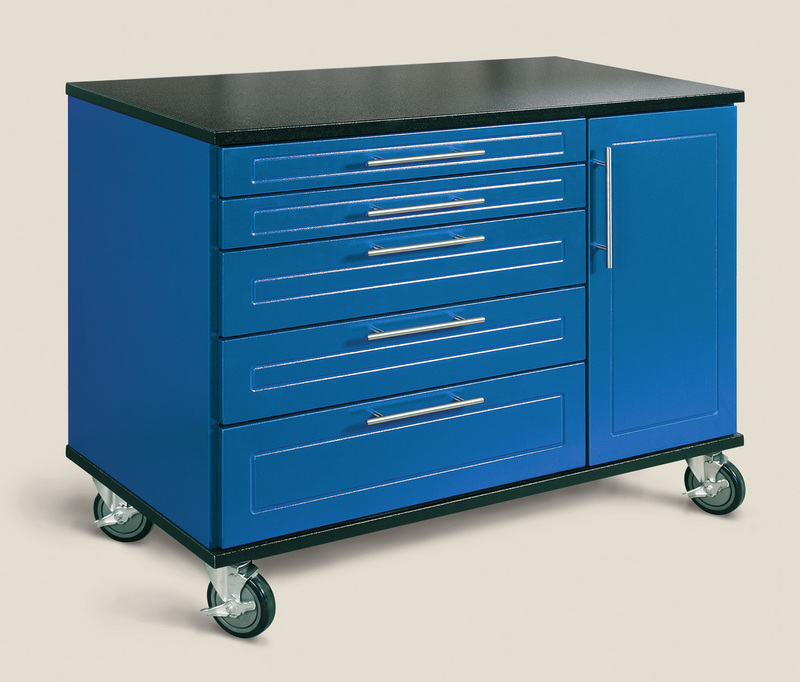 Garage Work BenchGarage work benches are available in 5 different sizes with a multitude of drawer and door options.